As a young family we have learned to adjust our holiday time to suit Emma’s needs. We were foolish enough to try and take her for fancy breakfasts in five-star hotels in the beginning, oh yes, indeed! But once she started pouring her cereals on the flour and generously throwing bits of toast to appalled middle-aged couples who were trying to enjoy their Saturday breakfast in peace we knew our holidays needed a fresh approach. So now we do short city breaks and stay in family-friendly hotels and spend our summers in Greece in a rented apartment, not too far from the sea. What I have realised recently is that,although hubby has been living in the UK for 18 years and I have been here more than 7, we have never had the chance to explore England and all it has to offer in terms of holidays and places to see! So when I saw the Centre Parcs January Challenge launched by Tots100, I knew I had to have a go at it. It would be lovely to go and explore a bit of what England has to offer, especially for young families like ours and their video An Adveture with Little Ones gave me enough inspiration to write this post! 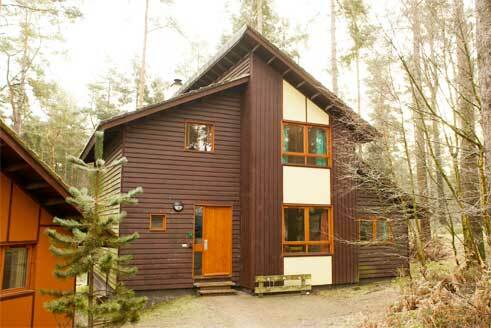 If we were so very blessed to win a holiday with them, I would choose Whinfell Forest Centre Parcs in Cumbria. The 400-acre forest would be ideal for us and the little ones to get some much needed exercise and explore a new environment. The comfort lodge accommodation would suit us perfectly, I can almost smell the pine trees and hear the wind blowing soothingly at night! The Subtropical Swimming Paradise would be the perfect place to unwind for Emma and hubby, they both LOVE the water and I could use the time to bond with baby! Of course, the most appealing feature for me personally is the Aqua Sana Spa, it’s been so long I had grownup treat time that I would beg, bribe and plead for a few hours of relaxation and a body treatment :-). Probably I won’t have to do any of that since the children’s clubs may keep the kids entertained for a couple of hours and we could actually both go and enjoy a soul-refreshing treatment and time in two! And as for eating out, how exciting it is that you can actually have a pizza night as a family or sip a Starbucks coffee and enjoy a bun without worrying the children will wonder off and disturb the other customers! Oh, I am getting positively upbeat about this, I truly hope we win! Oh I hope you win! That looks amazing. I totally know what you mean about taking kids to fancy restaurants. We took ours with us to a family-friendly hotel but we had breakfast so early in the morning that we were the only kids there. I felt so bad whenever my son would even so much as raise his voice a little bit, thinking about all the couples without kids trying to enjoy their breakfast. I hope you win the challenge! When you have young kids the best place to go is where they can have fun, be entertained and you don’t have to worry about them. Good luck! The Center Parcs forest looks beautiful. I’ve heard great things about their holidays. We are all excited and will probably go for a short break, even if we don’t win the competition.